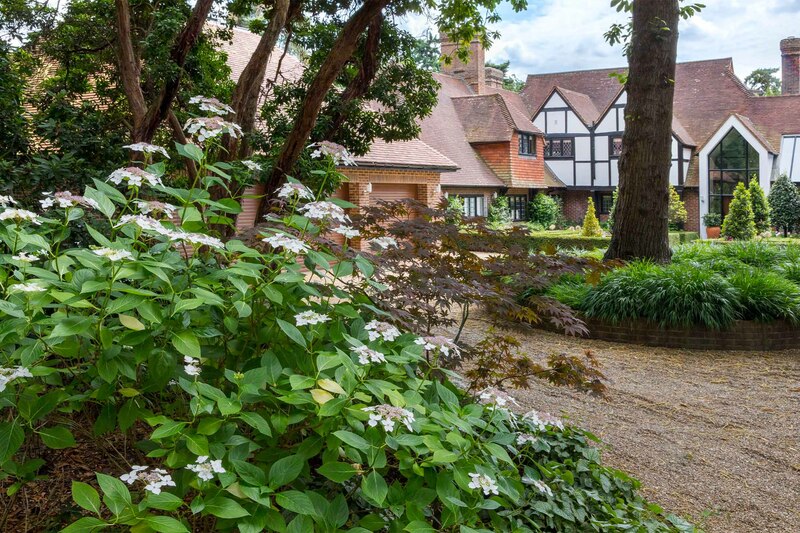 The sloping garden of this property has been terraced with levelled lawns leading to a lush damp woodland meadow and stream. 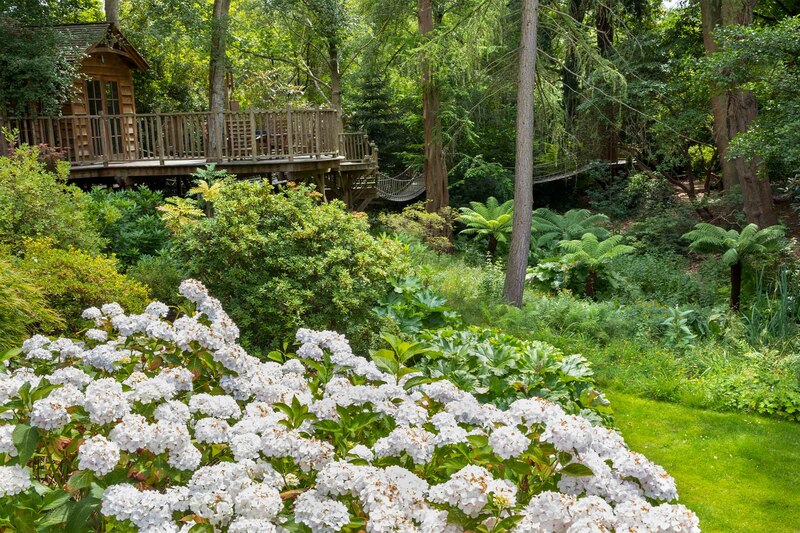 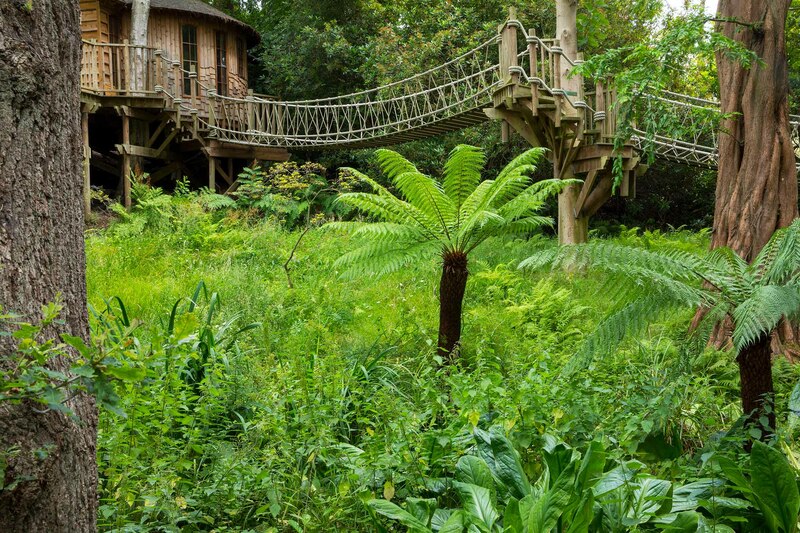 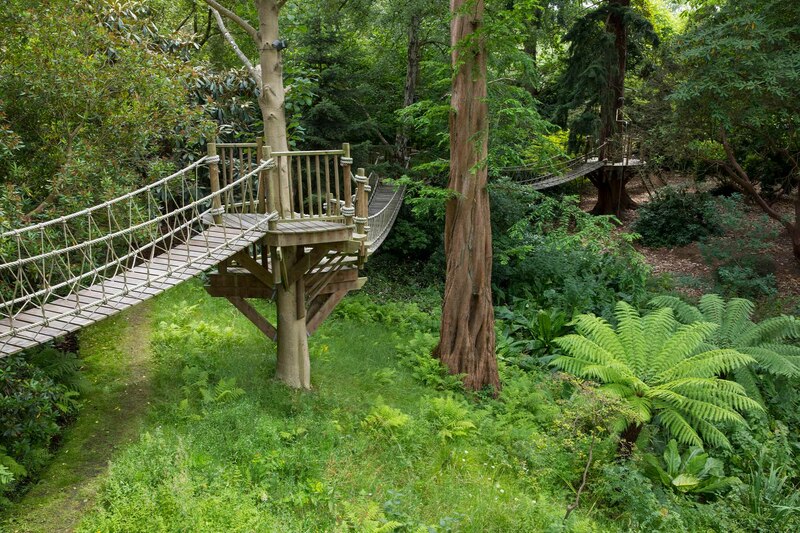 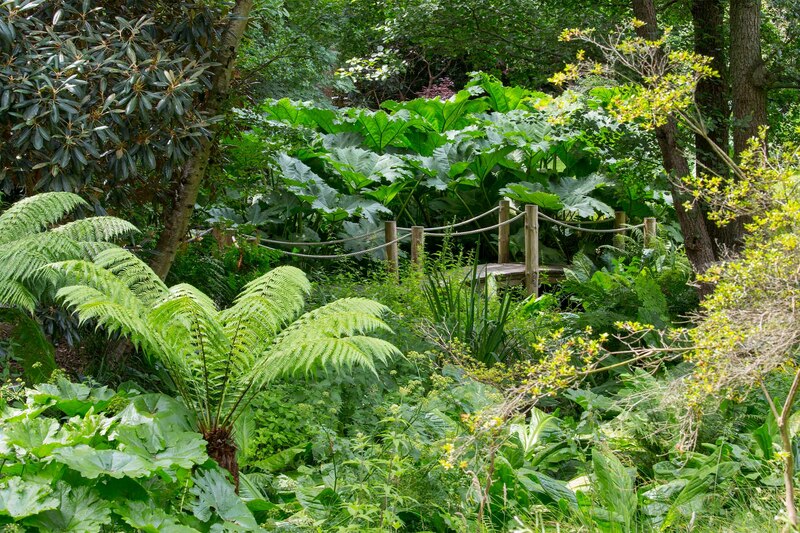 The woodland valley features a tree house and linked elevated walkways above the tree ferns, Lysichitons and stream. 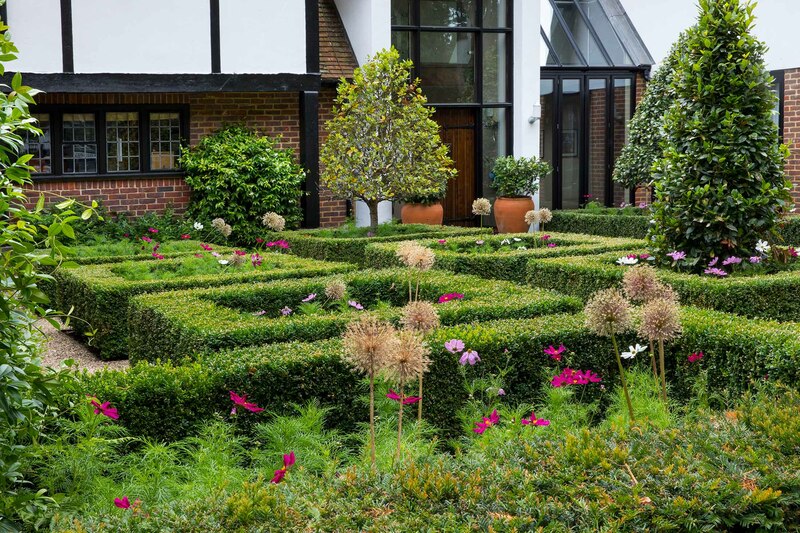 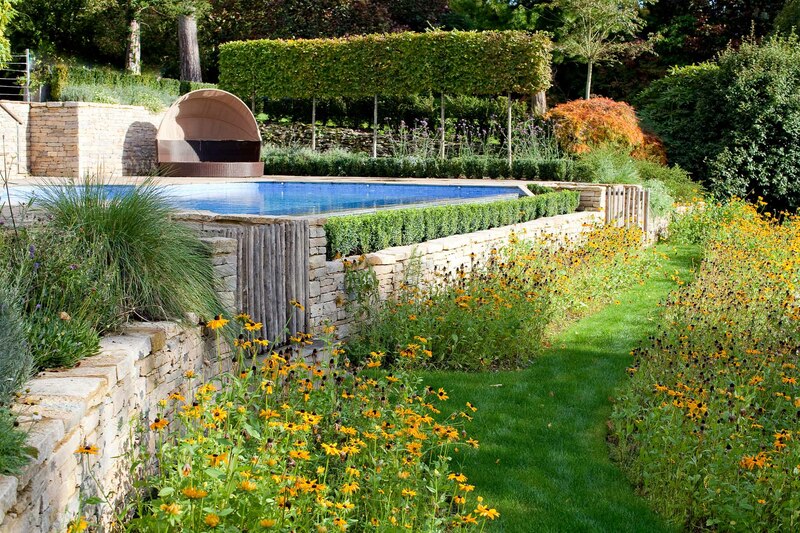 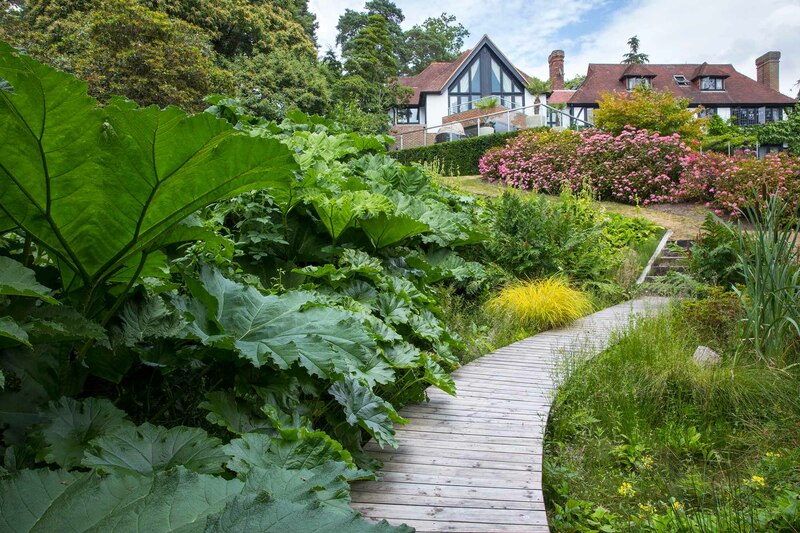 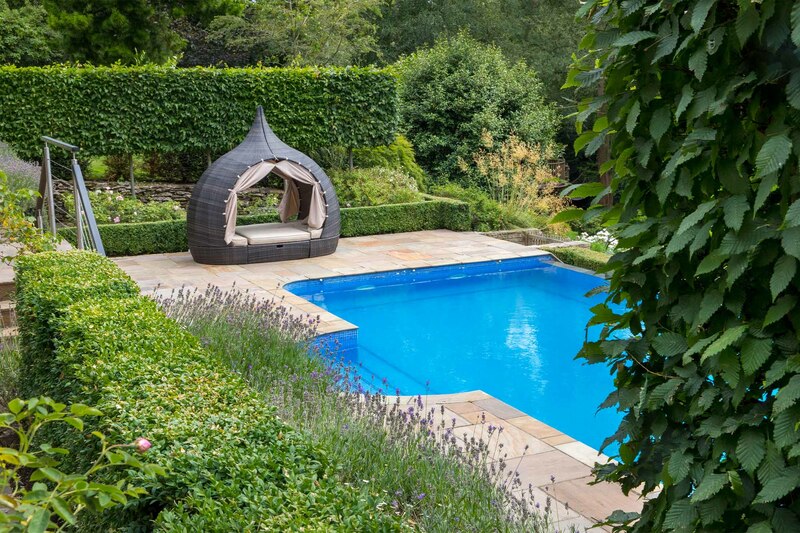 The terraces are seeded with annual summer flowering plants and the areas around the sunny pool, planted with Roses, Phlomis, Stipa and Salvia.